You had every intention of growing your children in faith through sweet, family devotional time. Loving the Lord yourself, you planned to raise your children with the same devotion to God and to love studying His Word. Fast forward a few years, and if you’re honest, having a solid family Bible study plan can be a struggle. Life certainly can get in the way of the best parenting plans! 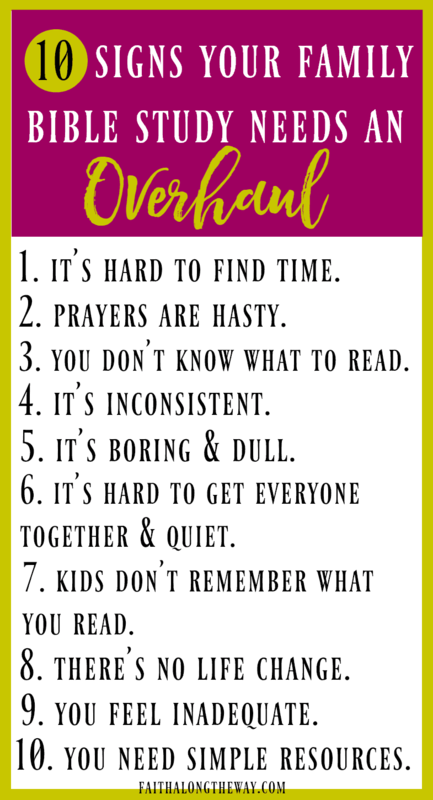 In fact, if these situations below describe your family devotion time, it might be time for a change! It’s hard to find time for family devotions. Prayers are hasty and mainly said before meals. 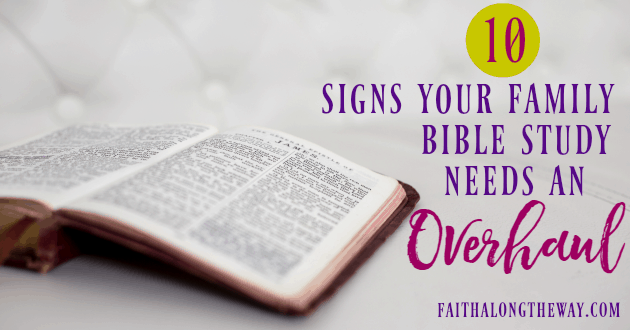 You’re not sure what Bible stories to study or read. Your devotional time is inconsistent. It’s hard to wrangle the family for some quiet time. The kids aren’t remembering what you discuss. There’s no evidence of heart change in your family. You feel inadequate to teach your kids about God. It’s a struggle to find simple and practical resources. Friend, if these situations hit home, you don’t have to settle for status any longer! You can change the course of your family’s spiritual life by revamping your family Bible study plan. And I promise, there’s nothing hard or overwhelming about leading your family to a growing relationship with God. Plus, I’ve made it easy for families to grow deep roots of faith with the FREE e-Course, Make Over Your Family Bible Study Challenge. Also, course will help even the busiest families build a firm foundation of faith by igniting a relationship with the Lord. If you’re ready to grow in faith, this resource from Sarah E. Frazer is the perfect way to focus on living a joy-filled, God- centered life. 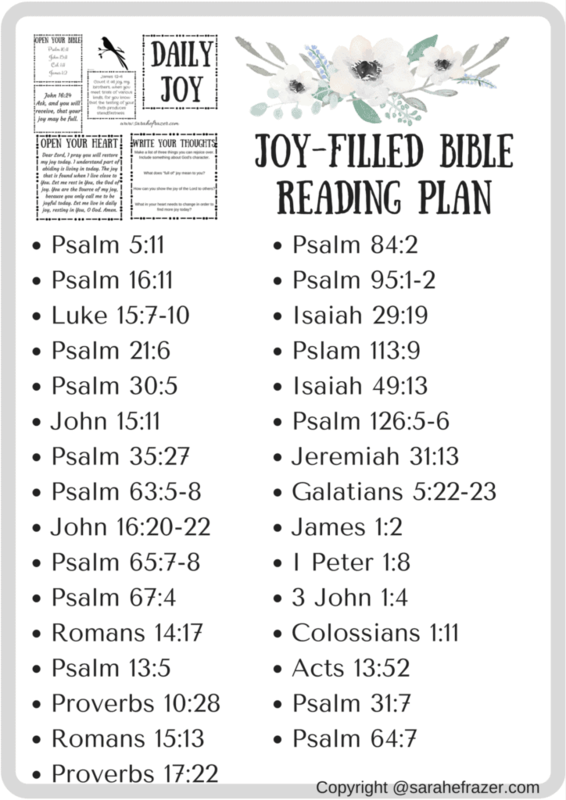 You can grab her printable here and browse her site for amazing Christian resources! Grab a button or link back to Faith Along the Way or another host to encourage new linkers. This is not mandatory to participate, but is required to be featured. By linking up you agree to allow the hosts to use your featured post image if you are chosen as a feature for next week. 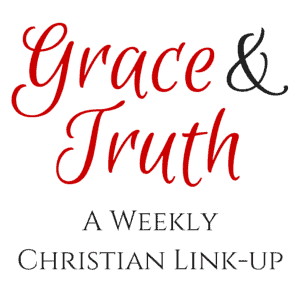 By linking up and leaving your email address, you also agree to receive e-mails relating to Grace and Truth. Hi Sarah, I am your neighbor today at By His Grace!Family Devotion time is so important, thanks for sharing. I know this will encourage many families! Thanks for the encouragement, Misty! Blessings to you!